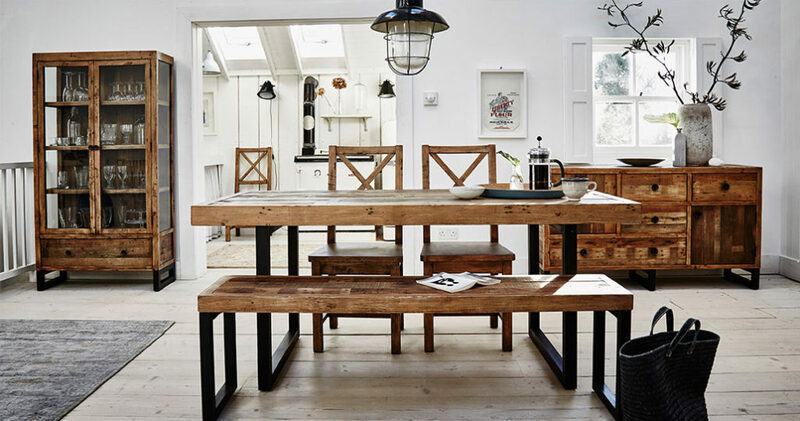 PGT-Reclaimed, the original manufacturer and designer of reclaimed wooden lifestyle furniture, has chosen the Australian International Furniture Fair (AIFF) in Melbourne to launch two new collections, one of which was inspired by the owner’s Australian childhood. In the same year the company celebrates 20 years, founder and owner Ian Burden is launching Bohemian, a trendy collection honouring his childhood suburb, the multicultural Earlwood in Sydney. 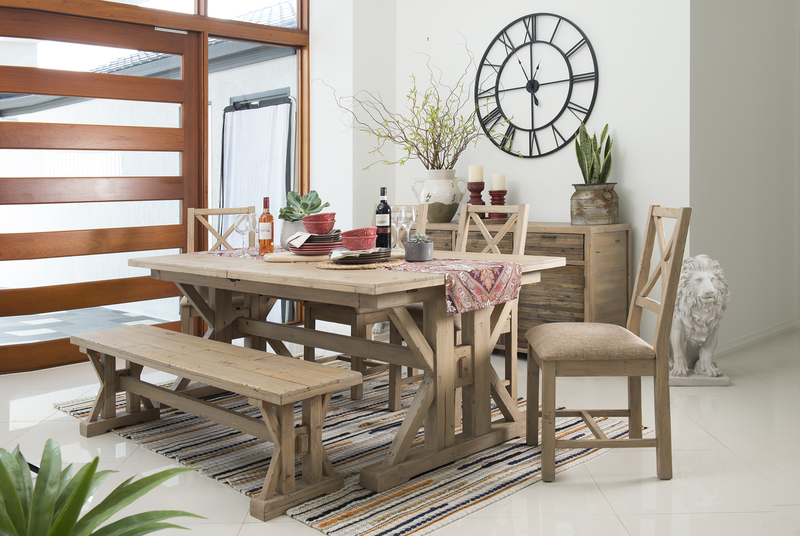 Like all of PGT-Reclaimed’s collections, Bohemian is made from 100 percent reclaimed wood with a previous life in pallets, shipping containers, shipwrecks or old buildings, certified by the Forest Stewardship Council (FSC). “Bohemian’s key features are polished legs to look and feel as smooth as metal, completed with brass plates to add sophistication. We’ve finished the collection with a 100 percent water-based solution as part of our ongoing program to move all finishes from Nitrocellulose,” Mr Burden said. Caring for the environment, worker and consumer has been a focus for Mr Burden since beginning PGT-Reclaimed, in his goal of producing furniture that ‘looks good, feels good, does good’. The idea came to Mr Burden in 1997 when the Vietnamese Government clamped down on logging after the G7 Summit. Around the same time a subcontractor showed him a sample of garden furniture made from recycled wood discarded throughout Vietnam. “This wood is usually taken away and burned which to me was wasteful. I thought, if this wood was treated correctly, it would be a great material for lifestyle furniture. It would be durable, while having the unique characteristics of nail holes and other markings,” Mr Burden said. From there he developed manufacturing processes with limited impact on the environment, including the timber being collected and sorted by hand and kiln-dried for up to 26 days, with offcuts fuelling the fire. The timber is then manufactured using by hand, old-English carpentry, with a floating panel method to allow the furniture to adapt to any climate, with each piece of wood locked together using a tongue in groove technique for strength. The products are completed with multi-step French polishing to highlight the characteristics of the reclaimed wood. 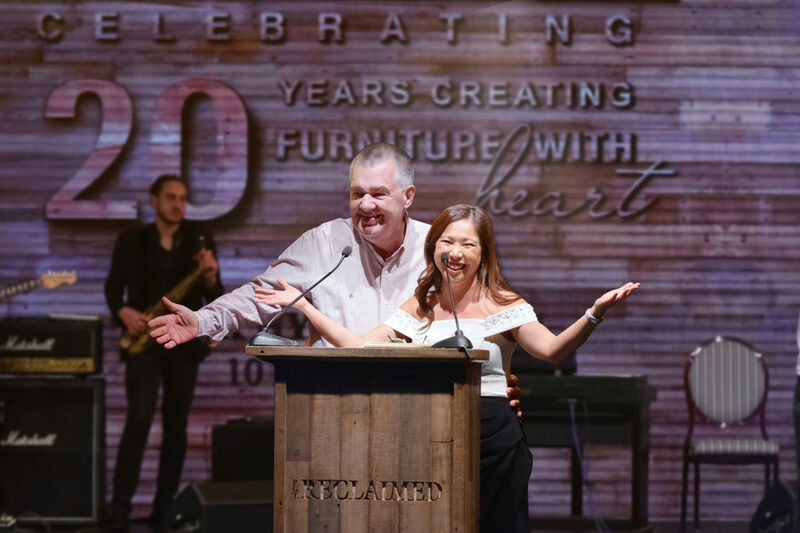 All furniture is made in South Vietnam, finished at PGT-Reclaimed’s factory 40 minutes from Ho Chi Minh and is distributed to 18 countries worldwide. Mr Burden and his wife, Yung Burden who is PGTReclaimed’s Brand and R&D Director, also own PGT-Reclaimed (Australia), the global company’s exclusive distributor in Australia. 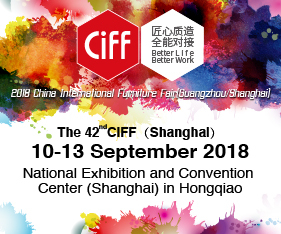 PGT-Reclaimed will be showcasing four collections at AIFF including the new Bohemian and Valetta (a beautiful collection with smooth corners and a light finish) beside popular collections Tuscanspring and Woodenforge.